AI is all around us - be it in the “smarts” behind consumer facing apps like FaceBook, Google, Uber, Alexa etc. OR enterprise applications like targeted marketing, customer sentiment analysis, financial risk modeling OR research like genome sequencing, earthquake prediction (we sure need it here! ), autism research etc.. And it is all very important and groundbreaking - as evidenced by the turnout and the energy level in this conference. But, there is an important - nay critical - aspect of all of this data collection and cognitive analysis that is often overlooked - and that is the ethical and moral angle. Why? Join this session and we will explore some amazing applications, delve into the implications behind what the application vendor (some really big names too!) says and does not say and finally leave us all with some hope by showing where some true thought leadership is being put into place to grapple with these gnarly and dare I say it “life and death” issues. The questions we raise in this session are the very questions we should be asking of ourselves NOW as consumers, vendors, researchers, investors or regulatory bodies. And seek answers by digging harder. The harder we dig, the better off we will be in an AI driven world and leave the world a more moral and sane place for future generations. 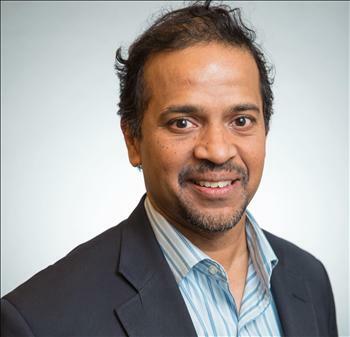 Ashwin Krishnan is a technology industry expert with over two decades of experience in cybersecurity and cloud technologies. He is a hi-tech consultant and board advisor. The author of Mobile Security for Dummies. A recognized thought leader, he is a regular columnist with CSOOnline.com, ITSPMagazine, ThriveGlobal, CPOMagazine and Qrius. He also regularly contributes to other publications including LightReading.com, Securitynow.com, CIOreview.com , SDxcentral.com, Virtual-Strategy.com, SoftwareMag.com, TEISS.co.uk, CloudTweaks.com He is also frequently quoted in publications like Erpscan.com, DigitalGuardian, FutureOfEverything.com, TalkinCloud.com, EnterpriseProject, MRC & SiliconIndia.com. His speaking engagements include Mobile World Congress, CSA World Congress, ISACA, RSA Security Conference, VMWorld, Telecom Industry Association, and Product Camp Silicon Valley.